Stenhousemuir – McCabe, McCormack, McMaster [Smith 84] Meechan, Kerr, Berry, Cook, McCroary [Nash 88], McMenamin, Millar and Gilhaney. Subs not used – Hamilton, Stirling, Runciman, Howarth and Docherty. After two defeats by teams in our own division there was trepidation on how the Warriors would cope with top seeds Partick Thistle. Once again there was a small home support that was easily outnumbered by the opposition. With only two turnstiles open at the terracing due to late call offs and a lack of supporters to fill the gaps the queues to get in at times stretched up Tryst Road. In the early stages of the game the Jags certainly took the game to the Warriors and the home side were pinned back in their own half. Colin McCabe did well to save a Mathias Pogba header from a Sean Welsh corner and the striker was unlucky to have another header bounce over the crossbar. He was not to denied though as he eventually opened the scoring in the 20th minute when he steered a header from a Callum Booth cross into the corner of the net. This was no more than the visitors deserved at this stage after dominating proceedings. Two minutes later they extended their lead from the penalty spot. David Amoo went down in a challenge from Jamie McCormack and referee Don Robertson immediately awarded a penalty kick. Welsh stepped up to convert the spot kick despite the best efforts of McCabe. A couple of minutes later Colin McMenamin headed wide with a half chance. Pogba volleyed wide for Thistle and Kris Dolan shot just wide as did Pogba just after this attempt. For most of the half David Crawford had been a passenger but he had to be at the top of his game to tip a Liam McCroary header over the bar. A Steven Lawless effort then took a slight deflection wide before Pogba once again was denied by McCabe shortly before the interval. The Warriors were lucky to get into the half time interval only two goals down but they had shown resilience at times and they were an improved team once the game resumed. Partick made a change on the hour when Kevin Nisbet replaced Steven Lawless but any thoughts that Thistle were going to take it easy and just play the game out were soon erased as Nisbet made an immediate impact linking with Pogba before seeing a shot graze the post within a minute of coming on the pitch. This was followed by a Welsh strike that moved in the air and McCabe was relieved to get his body behind the ball. 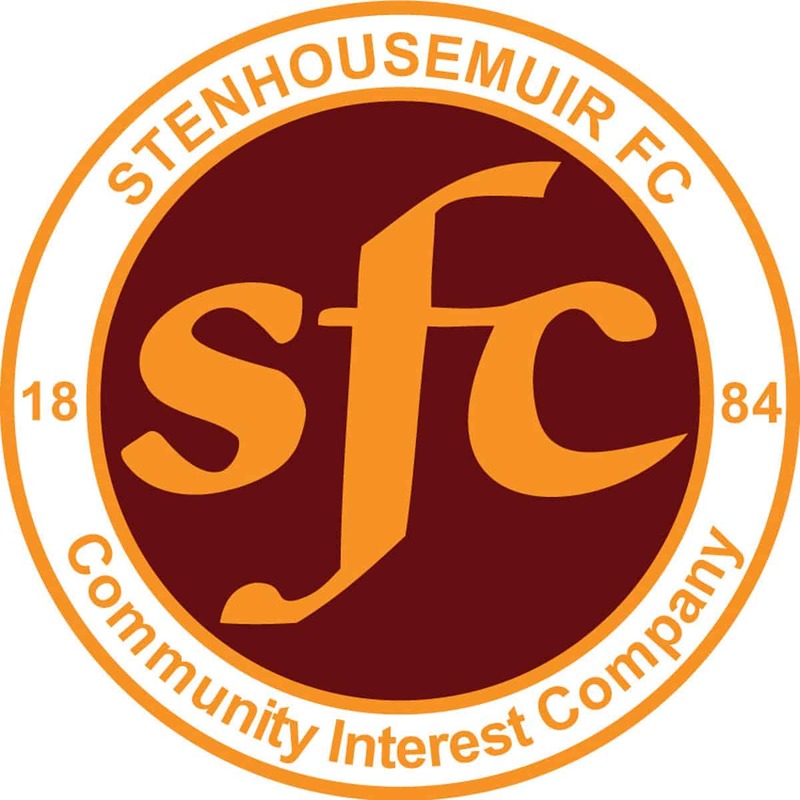 Stenhousemuir had shown a marked improvement in the second half and they were rewarded for their effort in the 73rd minute when a Mark Gilhaney corner fell to Liam McCroary at the edge of the box and he hit a first time effort into the bottom corner of the net. Although Partick were still creating the better openings it gave Stenhousemuir hope and when McCabe brought off another top class save to deny Edwards there was just a feeling that the home side might get something out of the game. Manager Brown Ferguson brought Jack Smith to bolster the attack replacing left back Liam McMaster. Typically just after that happened an Azeez effort was deflected across goal and Amoo was to capitalise on the space by McMaster’s absence to tuck the ball home. As in the first half one breakthrough led to another and Partick scored their fourth goal a minute later. This time the scorer was Azeez who controlled the ball before shooting through McCabe’s legs. The big keeper didn’t deserve to let in four goals and at times in the first half had kept the score respectable. Just before the end Paul Nash an 18 year old from the Forth Valley Academy made his debut. There can be no complaints about Partick’s win though the late goals were harsh for a Stenhousemuir side that showed spirit in the second half once they got to grips with the game. In the end though the score meant that Stenhousemuir remained rooted at the bottom of the section with no points whilst Partick maintained their 100% record.